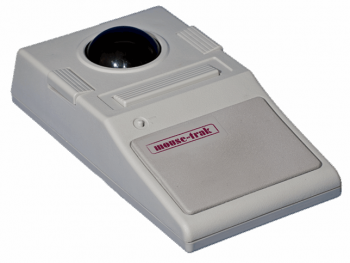 The Serial MOUSE-TRAK Prosessional features 4 buttons, 9-pin Serial Interface, an ergonomic design and stainless steel shafts for long life and trouble free operation. This unit requires no drivers or software to operate and is compatible with all Windows OS's, Linux, Unix and MAC OS. *This unit is also compatible with BAE SOCET SET - contact us.